Movements start with one voice declaring, “It’s time.” In a world of confusing messages directed at women, the stakes have never been higher to raise daughters who are confident in their identities, courageous to impact their world, and rooted in grace. But raising daughters who have sustained relationships with a personal, loving, and grace-filled God, and who know their purpose in life, requires more than just hope or routine attendance at Sunday morning church services. It requires more than just solid self- esteem, a good education and parents who love their children. Those things are important, but what is really required is laying down our lives for our daughters—entering into their world to support them and committing ourselves to becoming Courageous Girls alongside them. Whether you are a mom of daughters, or a woman investing in the next generation of girls, InCourage is written for you. Touching on the common issues we face as women, such as the comparison game, body image, sexuality, identity, friendships, and more, InCourage reminds us that transformation of our communities and cultures starts with us. We cannot give to our daughters what we have not received ourselves, and a courageous woman knows she cannot do this journey alone. 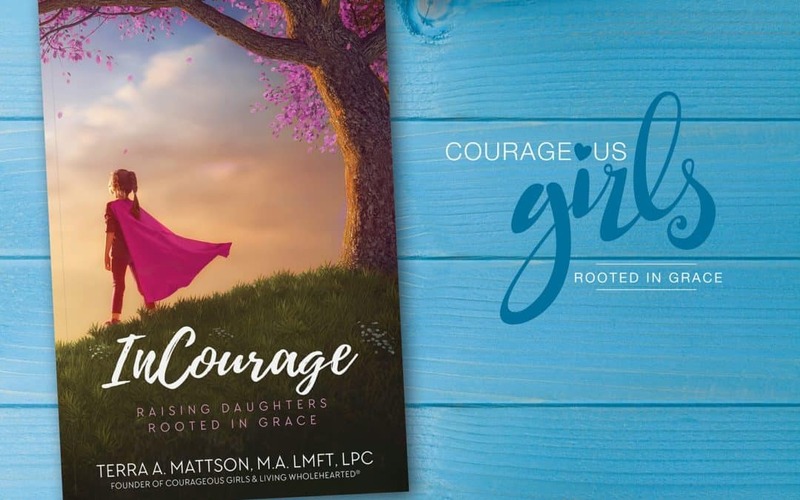 Weaving together biblical truth and clinical wisdom, this book will inspire, empower and equip you to be a woman of courage right where you are, while challenging you to transform the community of women and girls around you. It’s time to become—and raise—the Courageous Girls God has appointed for such a time as this. Are you in?